A Total station in Bellevue, Nebraska. Photo taken January 15, 2006 by Adam Bennett. 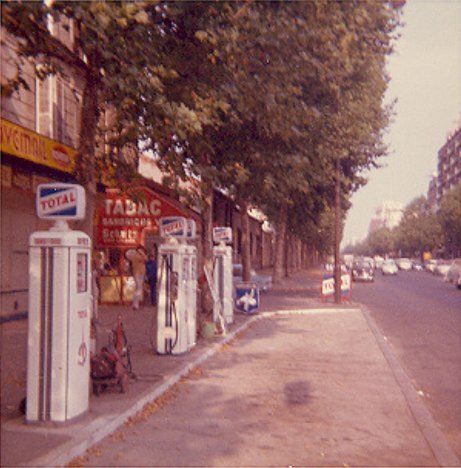 A curbside Total station in Paris, France. 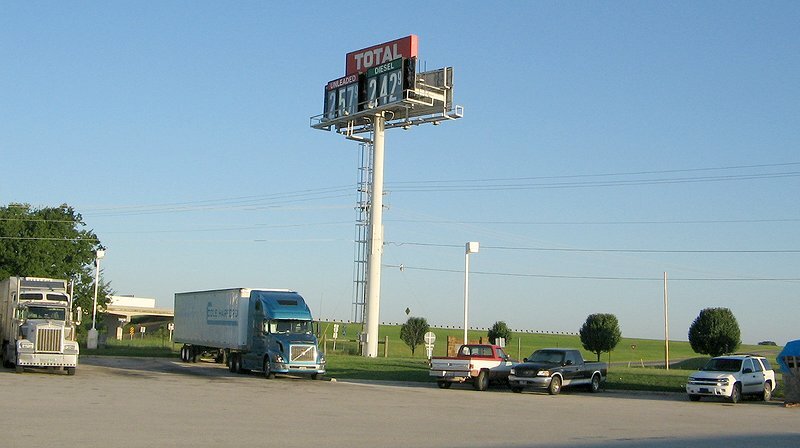 Here are four shots of one of the last Total truckstops in Oklahoma. 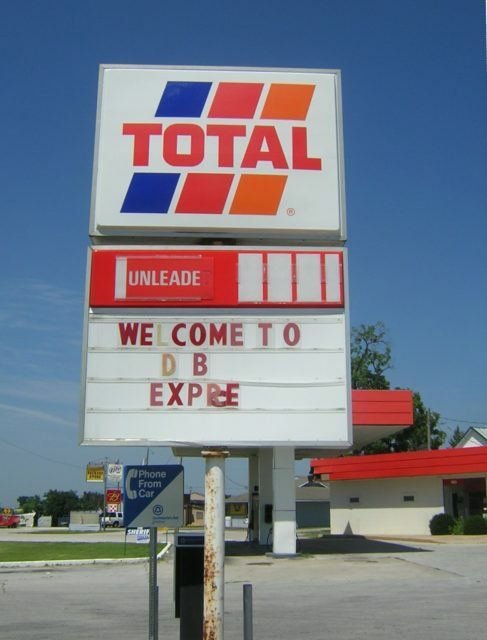 Located at Marietta, Okla at the interesection of I-35 and SR 32 (exit 15). 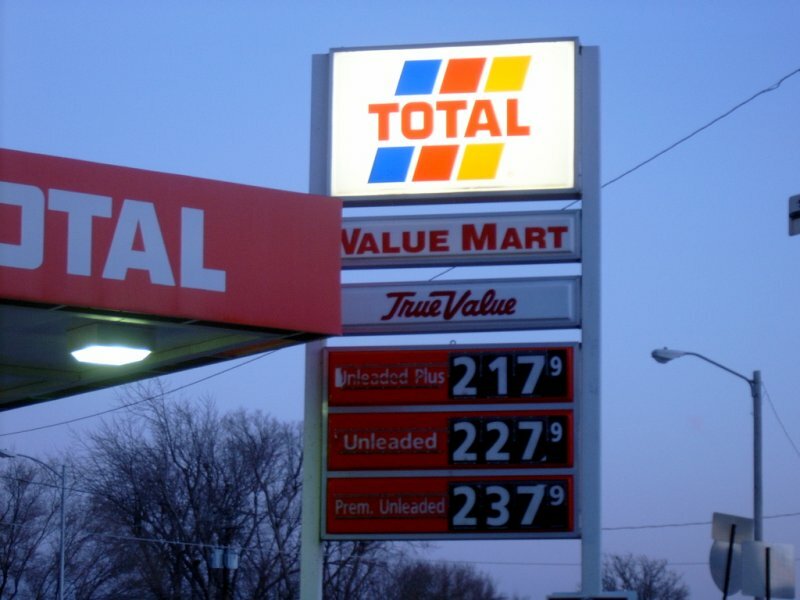 taken, the site converted to Valero. All four above taken on August 19, 2005 by David Aldred. it was painted over. The last Total in Oklahoma is gone. Photo taken by David Aldred. 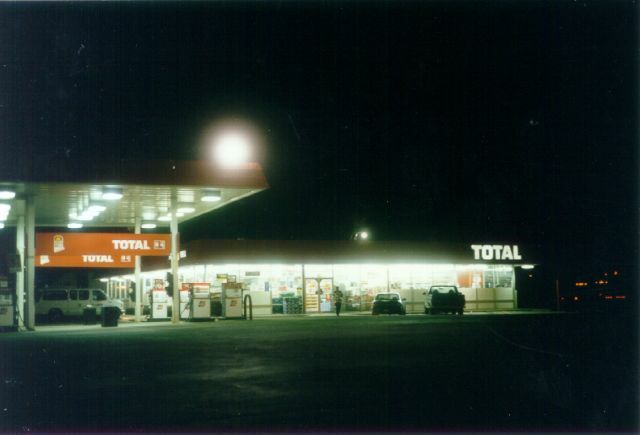 A Total in Marionville, MO (closed). Taken July 14, 2004 by David Backlin. 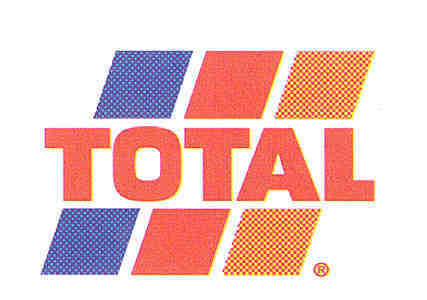 Total logos used in France. Possibly used in the U.S. Above two logos from David Backlin. 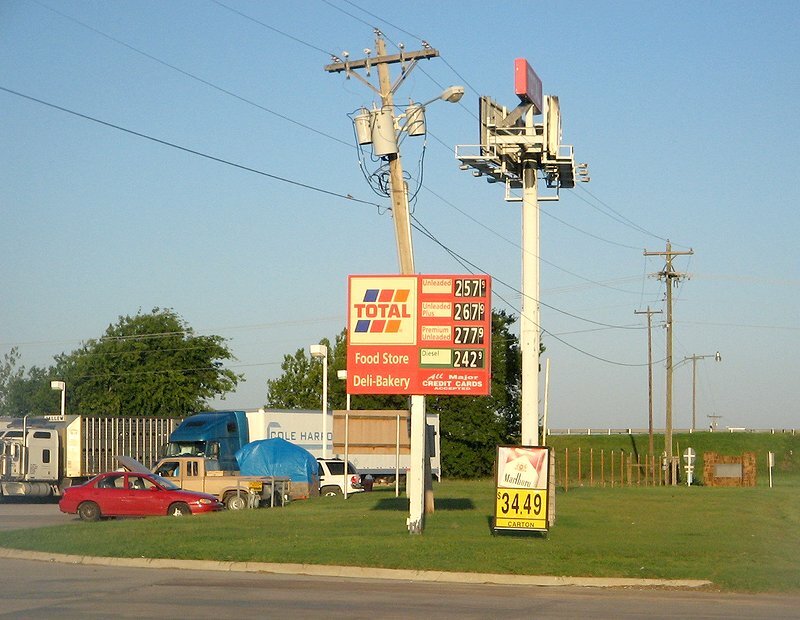 A Total station in Baxter Springs, Kansas on Route 66. Taken July 1, 2003 by John Cirillo. 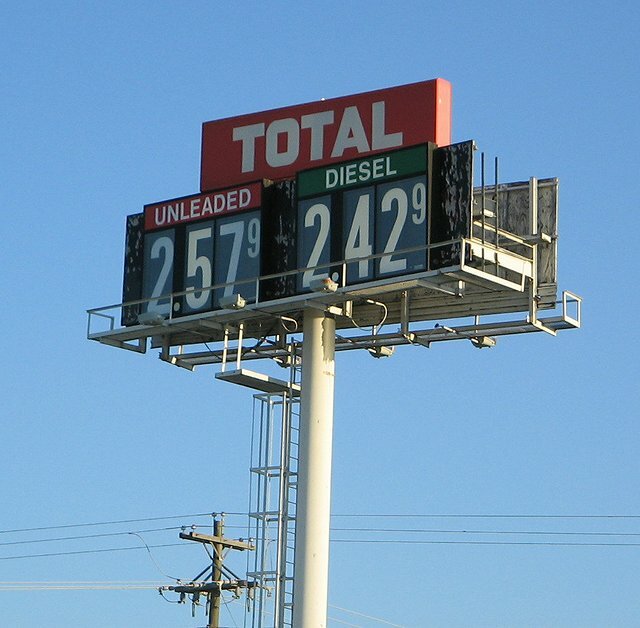 A Total in Denton, Texas. Taken Nov. 2003 by David Aldred. Note: This station has been boarded up as of January, 2004. Nighttime shot of a Total sign. 1997 photo by Sonya Cirillo. 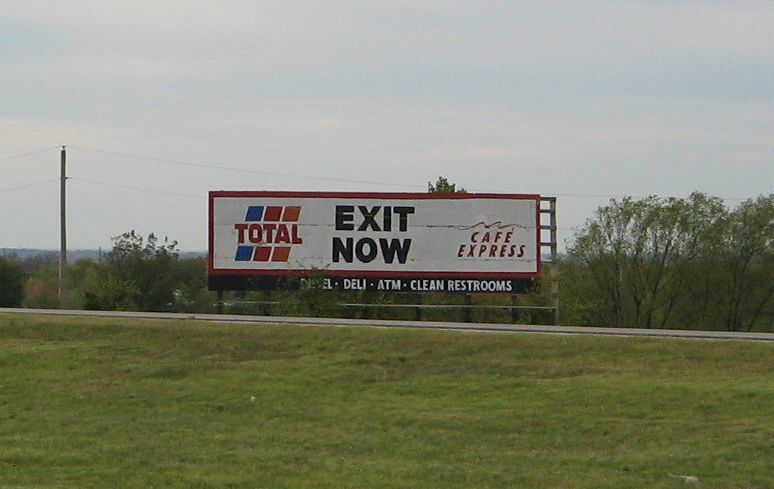 Location unsure, I think it was at Hooks, Texas on I-30 near Texarkana. December 2001) at the corner of US-23 and Michigan Avenue in Oscoda, MI. 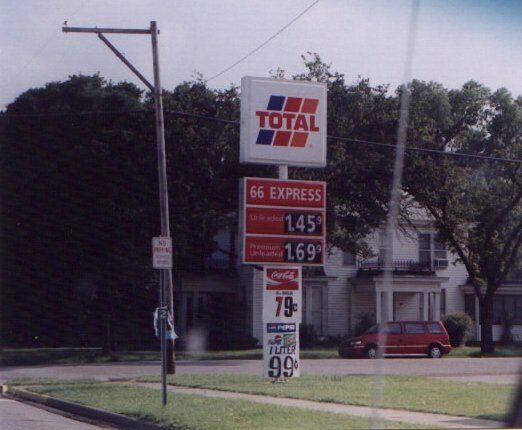 Photo taken May 27, 2001 by Bobby Peacock. There is also a photo of this station as a Rich station on the Rich page. Update: Bobby has informed me that this station was closed in Nov. 2007. 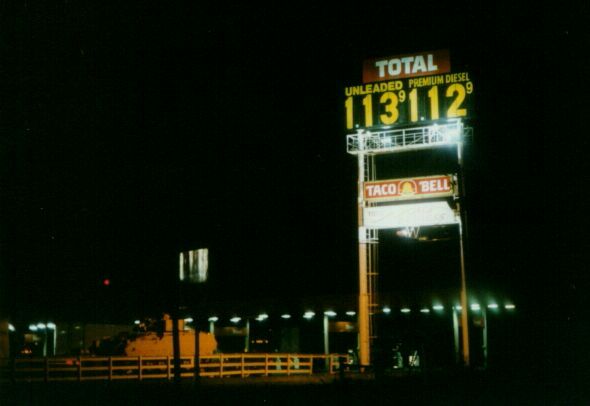 Another night shot somewhere on Interstate 40 or 57 in 1997. Sorry to say I didn't write down the location. Probably Arkansas or Missouri.